Cann Group collaborates with leading Australian medical scientists to empirically explore and assess the therapeutic potential of cannabinoid, terpene and other bio-active constituents of cannabis. Our aim is to partner with clinical researchers to tailor strains through our genetic profiling and breeding programs that will deliver the particular profile of bio-active constituents needed to optimise therapeutic efficacy for specific medical conditions. Our commitment to clinical research is evidenced by Cann’s on-going relationships with Agriculture Victoria, La Trobe University, CSIRO and pioneering research institutions such as the Olivia Newton-John Cancer Research Institute and Pancare. The Olivia Newton-John Cancer Research Institute is integrated within the ONJ Cancer Centre and is a leader in the development of immunotherapies, targeted therapeutics and personalised cancer medicine. Our research laboratories are only metres away from where patients are cared for and receive treatment. This inspires, and enables the rapid translation of scientific discovery into clinical trial of new and better cancer treatments. Olivia Newton-John’s personal experience has made her a strong advocate for the legalised use of medicinal cannabis to help treat cancer-related pain. 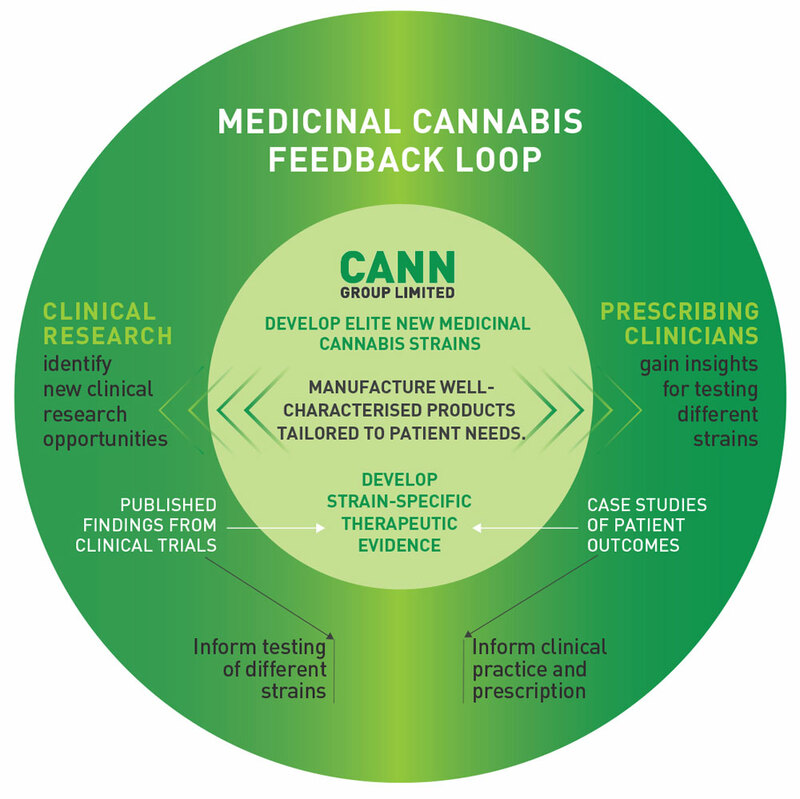 Cann Group is working with the ONJ to explore opportunities to undertake clinical research that will help establish the benefits of medicinal cannabis treatment and optimum treatment regimes. If you want to know more or discuss opportunities for Cann to support your own clinical research program, please call or submit an enquiry via the contact form.